You are here: Home / Lasted News / News / ADVANTAGES OF SPANISH IMMERSION HOMESTAY FOR CHILDREN AND TEENAGERS. ADVANTAGES OF SPANISH IMMERSION HOMESTAY FOR CHILDREN AND TEENAGERS. Summer isn’t far away and many of you will be making plans for your kids, so we thought you’d like to know lots of benefits of summer camps for teenagers and children. If we add in the fact that the camp is in Spanish, in the heart of the nature and living with a Spanish family, it is more than a camp, it is a cultural and linguistic immersion. They will be dealing with a different environment and people, new friends and a host family. It can be a bit hard at the beginning (even for parents), but actually everything is a lot easier than it seems. This experience will help young learners develop their social skills and mature. Peers from different countries will soon become your son or daughter’s friends. Everyone is in the same boat (new people, places, a language they aren´t 100% familiar with, new customs), so they quickly develop bonds. These bonds will help them overcome shyness, they´ll learn to share and empathise, to work in a group and to find out more about other cultures. All in all, it´s a cultural exchange which will help them to grow. It´s important to us that during their stay the children and teens learn in a different way; they need to have fun, they are on holiday after all! Learning a language through games, music, movies, sport and activities immersed in local culture is more enjoyable and they actually learn much more! Living with their host families, students live just as any other member of that family. This provides them with the perfect chance to absorb both Spanish language and culture as a part of their daily lives. Being away from home and their families also gives teenagers the opportunity to gain independence as they face and deal with new situations that their parents would usually take care of (always under supervision). This independence, in turn, boosts their self-confidence. 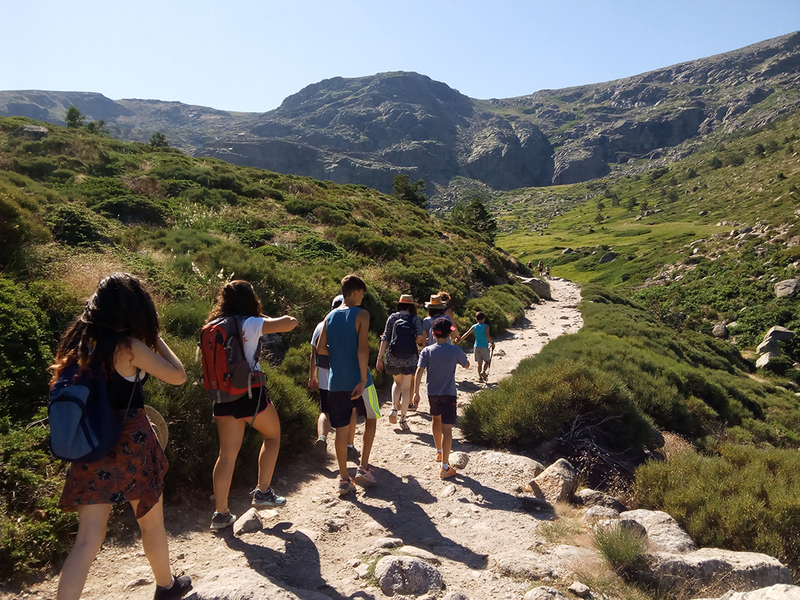 Check out Spanish in Nature summer camp 2018.
http://www.spanishinnature.com/wp-content/uploads/2013/04/Foto_Excursion_Spanishinnature.jpg 768 1024 Esther Campos http://www.spanishinnature.com/wp-content/uploads/2013/04/logo2.png Esther Campos2018-01-25 21:37:082018-01-26 07:42:50ADVANTAGES OF SPANISH IMMERSION HOMESTAY FOR CHILDREN AND TEENAGERS. Tortilla de patata paso a paso What students and their families say about our Spanish summer camp.